ITEM Software is pleased to announce the release of its latest version of the ITEM ToolKit. Together with an improved interface and many other enhancements, it now includes a FMECA module which fully conforms to the ISO 26262 and IEC 61508 standards. ITEM Software produces practical papers on topics that relate to Reliability Software, Risk and Engineering. The goal of our white papers is to provide solutions to common issues in our industry. Live interactive ITEM ToolKit and ITEM QRAS demonstra-tions are now available over the internet. This offers you the chance to experience the full function-ality of our reliability software at the comfort of your own desk, with one of our technical experts online to talk you through it. 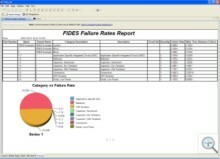 ITEM Software is an acknowledged world leader in the supply of Reliability Software for engineering. 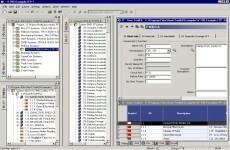 If your business is involved with Reliability, Availability, Maintainability and Safety ( RAMS ) evaluation, you need to contact ITEM Software. We are dedicated to providing our customers with the highest standard of products and after sales service. Our products are continuously being upgraded in response to user requirements and current software technology. Support is available from experienced engineers and software specialists. We also provide training in the techniques employed in this area and the use of our software products. Please feel free to browse through our website, register your details and download our latest software products for your evaluation. 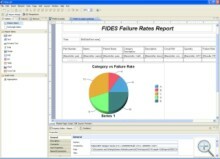 ITEM ToolKit is a suite of comprehensive predictive and analytical modules for analyzing the Reliability, Availability, Maintainability and Safety of electrical/mechanical components and systems. ITEM ToolKit is an integrated platform offering scalable analysis, saving you time and resources. These analysis tools can be purchased individually, in any combination, or as a complete package. 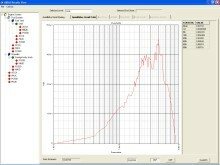 iQRAS - Quantitative Risk Assessment System . Utilized by Aerospace, Defense, Health Care, and other industries, this patented scenario driven risk assessment software tool allows the analyst to conduct Probabilistic Risk Assessment (PRA) and evaluate complex, time dependent sequences of events, quickly and easily. The latest product from ITEM Software is an extraordinary collection of new capabilities. 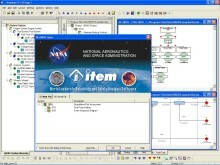 ITEM QT (iQT) provides a customizable, cross-platform, multi-user, and open frame-work reliability software and risk project/analysis environment.